*0cm of fresh snow has fallen in the last 24hrs in Hirafu Village. At 7:00 today the temperature was -6°C. Presently overcast conditions with just a dusting of snowfall. Light snowfall has been predicted for he remainder of the week. At this stage it is unclear when the next big dump of snowfall with hit the region – fingers crossed it is soon. Yesterday conditions were spectacular throughout the region. 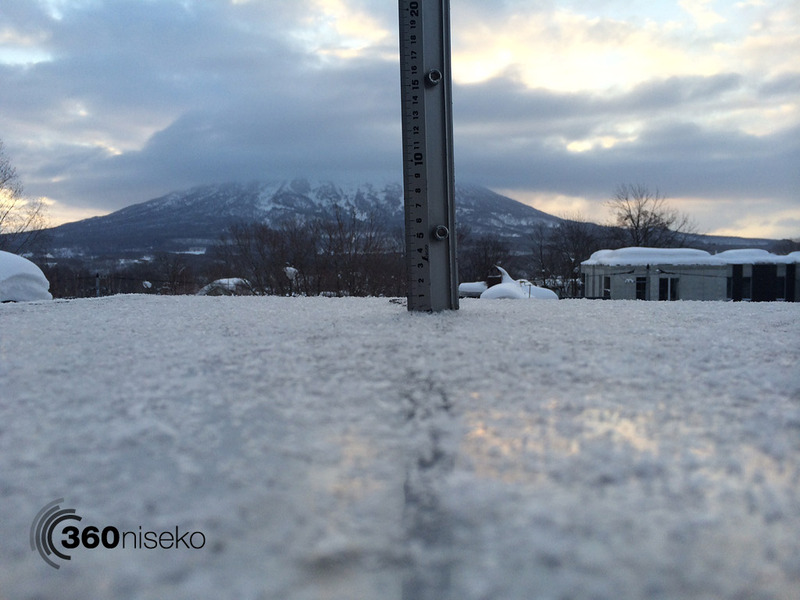 This was one of our favorite shots of Snowy from Niseko Xtreme standing at the top on Mt.Yotei on the edge of the crater – classic!